Why social media visuals are one of the most important assets for your business! 17 Oct Why social media visuals are one of the most important assets for your business! Is your Facebook page missing the one thing that will make it stand out? Let’s think about it for a minute… if we say “bird”, what do you think of? Was it visuals of a bird or the actual written word? More often than not, people tend to communicate in pictures and I’m pretty sure this was a clear example for you! Visual communication has been going since the beginning of time. Let’s just think about the cave men for a moment, yes, they had a language by which they communicated but how did they document their lives? That’s right, through cave paintings. Like actual pictures rather than words. And you know what’s so super cool about this? Because they documented in pictures, everyone was able to understand what they were communicating without any language barriers! Just face it, imagery is a universal language that everyone understands. Beautiful right! So much in the word is run by visuals! It can be as simple as a picture of a man or woman on the door indicating who the bathroom is for. It could be so totally awkward if those didn’t exist. So why not speak in visuals all the time? We already do with the growing trend of our digital world in the way of emojis, gifs, selfies and photos! We’re bombarded with imagery everyday and it’s becoming increasingly important your business stands out visually. Did you know that visual imagery reaches the brain faster and in a more understandable way than textual information? And in today’s fast paced world, you need to impact your viewer as quickly as possible because, well, it’s proven that your customers average concentration span has dropped and is only 8 seconds long! That’s shorter than a goldfish can concentrate for, no jokes! 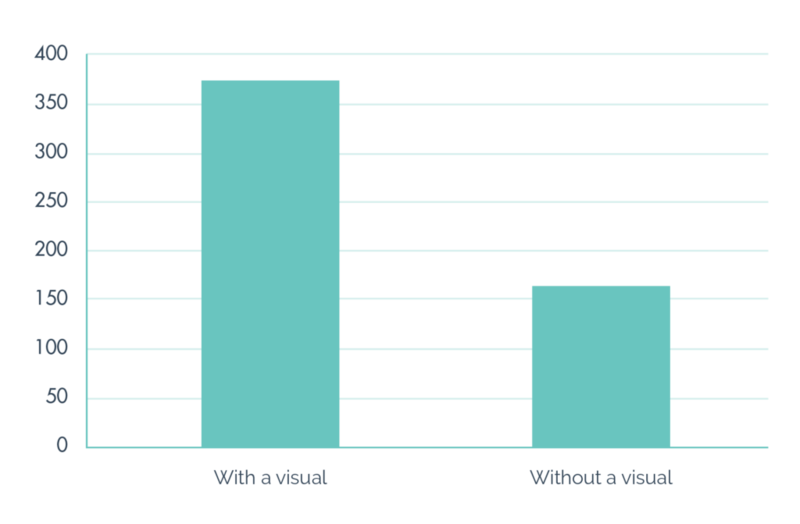 Or if we want to get super scientific here, our brain processes visuals 60 000 times faster than text. Wooooah! People are starting to understand this and thankfully technology is keeping up with these changes. For example, Facebook live videos is a new feature release that gets a three times higher viewing rate compared to a standard video! So why such a big difference? Well, think about how you would react? If you saw a live video, your reaction would be to check it out before it ends, because lets face it, humans are naturally very inquisitive and this feature plays on this. Another feature that Facebook has released is a 360 degree image. Just this simple feature has shown to increase views by 29%, all because it has become fun and interactive rather than looking at a static image. In this modern day world, it is important to grab attention, be fresh and be new in order to succeed. Facebook have picked up on this trend and they are proof that it works. Visuals hold a lot of power in the modern society, that’s why it is essential that communication is clear and simple. Very often an image or message can be taken waaaaay off topic! This can happen because of one tiny detail that wasn’t taken into consideration, but when it is done right… It works! That’s 2.3 x more engagement which could defiantly be the difference between a successful business or not. Take the below as an example. Which do you prefer, the infographic or the text based statistic? I sure know which I prefer. 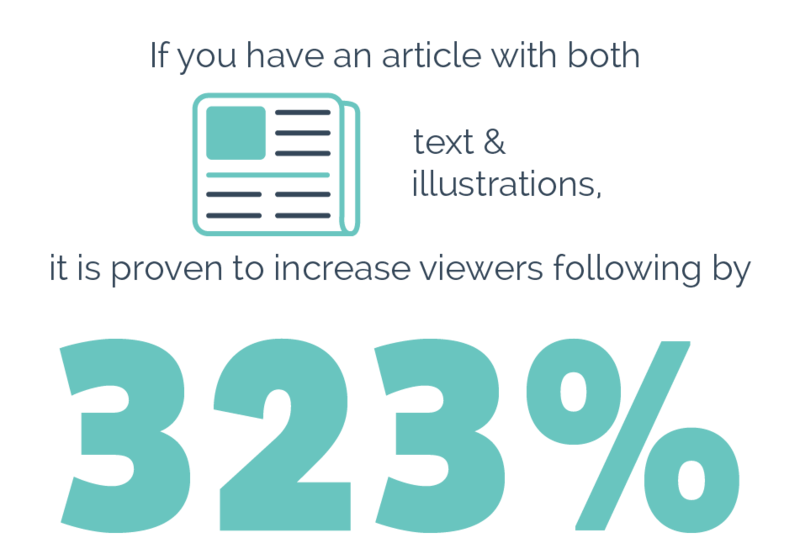 If you have a article with both text and illustrations, it is proven to increase viewers following by 323%. There are so many platforms for visual communication now days, but in my opinion, the biggest would most definitely be social media. It covers such a range of communication and business opportunity so why miss the chance to grow! 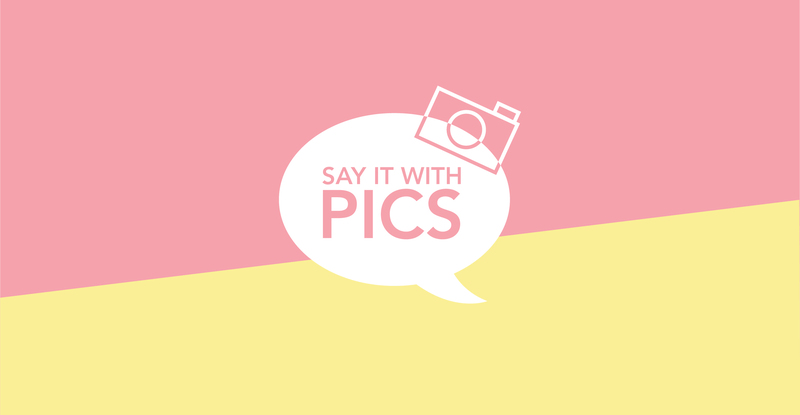 Check out our ‘Say it with Pics’ campaign on Facebook for some cool insights and an even cooler offering!